This week the Learning Resources Centre LRC team were out in the classroom with our students and course tutor on the Breakthrough Maths and English: Revolutionary Readers course. The course was building their skills in reading to an audience and silently by working on the F Scott Fitzgerald’s novel The Great Gatsby. In preparation for the course the LRC staff had bought copies of the two film versions of the Great Gatsby. One directed by David Merrick starring Robert Redford and Mia Farrow and the other the new Buz Luhrmann version starring Carey Mulligan, Tobey Maguire and Leonardo di Caprio. They’d bought Kindle versions of the novel to use on Kindle wifi keyboards and Fire versions. As over 30% of Hillcroft students are dyslexic the Kindles have the read out loud facility on them. 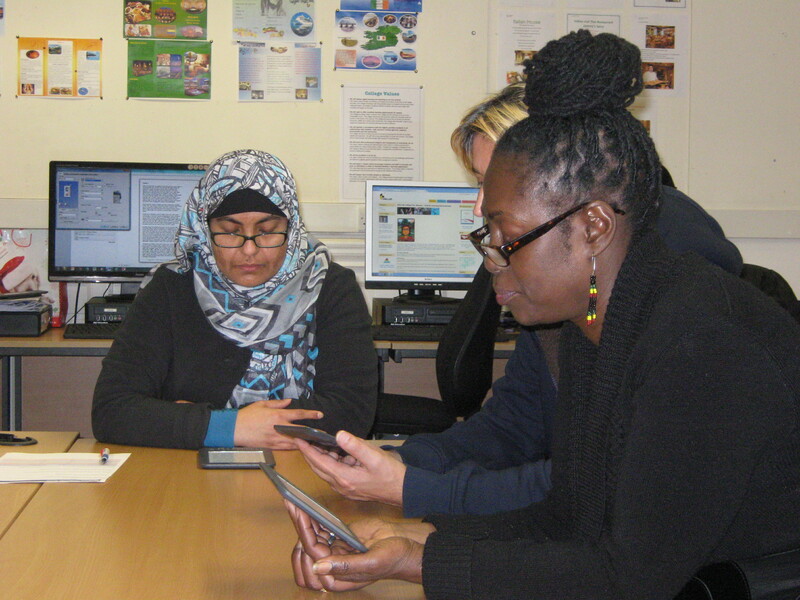 Our LRC team were helping the students practise reading out loud from the ebook readers in the classroom. As the LRC staff took photographs of them today using the Kindles many of the students explained how they had enjoyed the book even though at first they hadn’t. And it had given them great insight into the 1920s. Our Access to Higher Education students are in the process of writing assignments on Shakespeare’s Much Ado About Nothing at present. Each student is researching away trying to find new sources and angles on the play and its themes to stand out from the others. 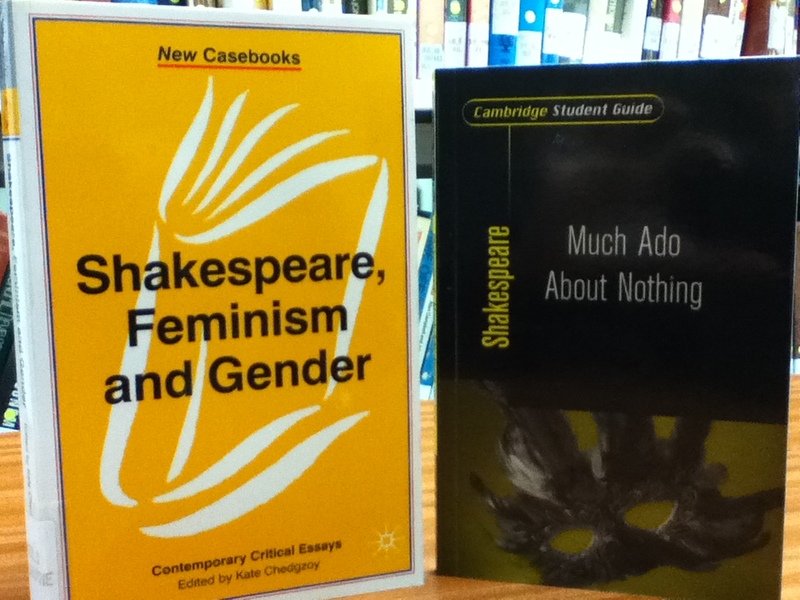 Whilst we’ve got an ebook version of a Harold Bloom’s literacy criticism Much Ado About Nothing to help them we’ve also got a copy of Kate Chedgzoy’s Shakespeare, Feminism and Gender which looks at the role and view of women in the play. While working with them in Learning Zone this week and discussing the role of Hero in the play and the significance of her name our Learning Resource Centre (LRC) staff member suggested they might find something interesting about it on Britannica Online. As well as using the literature dictionaries we have. Britannica came up trumps with a reference to Greek mythology.